High production pallet and wood scrap grinder. 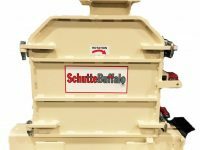 With capacities surpassing 10 TPH, the Hogerizer Pallet and Pallet Scrap Grinder thoroughly and completely grinds whole or partial pallets to a finely ground mulch in a single pass. 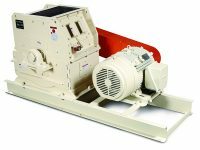 Hump tunnel magnets remove all nails and the powerful material handling fan conveys the clean material to storage. The custom designed electrical controls package allows entire system start up and shut down from a single panel. Built in system logic sequentially starts and stops each individual component. 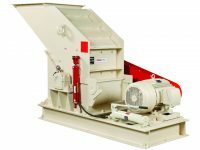 The Hogerizer is available in three standard sizes. Model 56-35 is designed to easily process whole pallets. 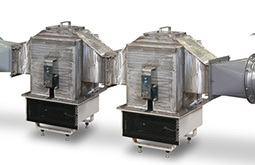 The smaller, Model 42-35 and 30-35 efficiently process pallet scrap and individual boards. 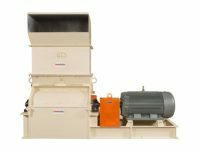 The HG Series Pallet and Pallet Scrap Grinder is a high production pallet and wood scrap grinder with capacities surpassing 10 TPH, able to thoroughly and completely grind whole or partial pallets to a finely ground mulch in a single pass. 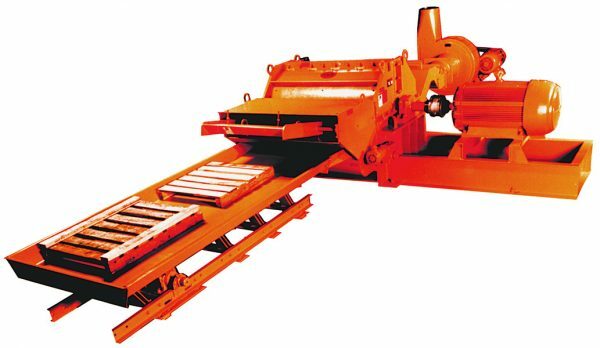 Hump tunnel magnets remove all nails and the powerful material handling fan conveys the clean material to storage. The custom designed electrical controls package allows entire system start up and shut down from a single panel. Built in system logic sequentially starts and stops each individual component. The HG Series is available in three standard sizes. 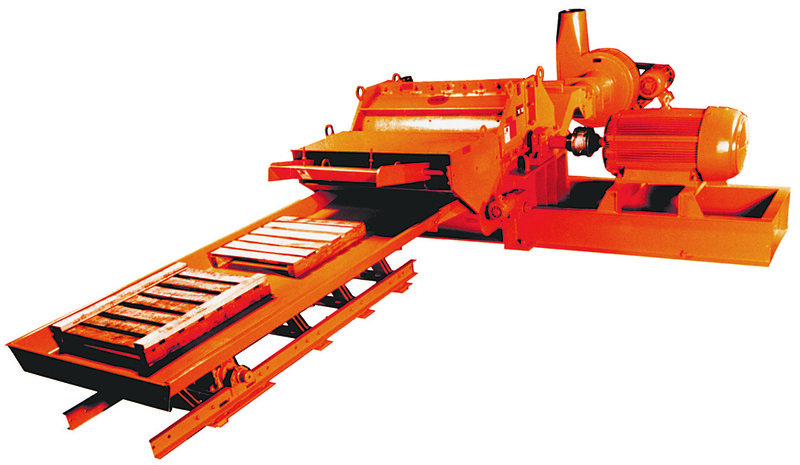 Model 56-35 is designed to easily process whole pallets. 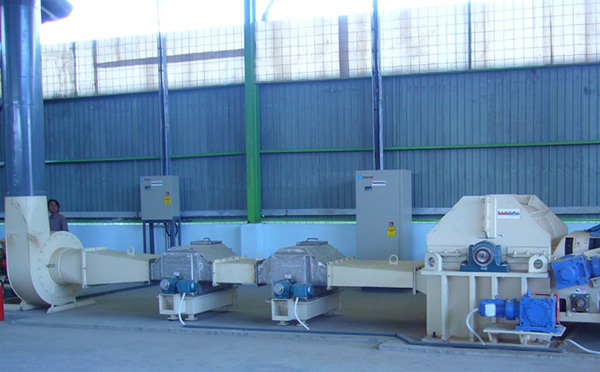 The smaller, Model 42-35 and 30-35 efficiently process pallet scrap and individual boards.